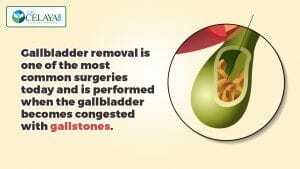 Have you been told you don’t need your gallbladder? Think again. Sure, you’ll live without it, but the gallbladder is actually a vital digestive organ. The gallbladder stores bile, a chemical made by the liver that emulsifies fat, and secretes it into the small intestine when needed. Bile is necessary for the digestion and absorption of fats, and it helps ensure you absorb vitamins and minerals from foods in your diet. Gallbladder removal is one of the most common surgeries today and is performed when the gallbladder becomes congested with gallstones. Things that can cause gallstones are nutritional deficiencies, hydrogenated fats (trans fats), processed vegetable oils, hypothyroidism, and no-fat or low-fat diets. The gallbladder there is like a holding tank for bile that secretes it as needed, such as when you eat something fatty. Without a gallbladder the liver continuously leaks bile into the small intestine. This means there is not enough stored bile to digest fats. As a result, fats can be become rancid and irritate and inflame the digestive tract. This can result in not only discomfort, but also poor digestive function and inadequate absorption of nutrients. If you have a gallbladder but it’s sluggish and congested with stones, this backs up the liver’s detoxification pathways. As a result, the liver cannot effectively detoxify hormones, toxins, and other metabolites. Gallbladder removal puts you at risk for deficiencies of essential fatty acids, which are vital for good brain health and hormone function, and fat-soluble vitamins, such as vitamin D, A, and E, which are especially important for good immune health. Also, if the gallbladder isn’t there to emulsify fats, the health of the entire digestive tract may become compromised. Studies suggest gallbladder removal increases the risk of colon cancer. 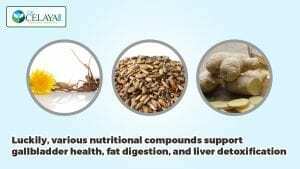 Luckily, various nutritional compounds support gallbladder health, fat digestion, and liver detoxification, including dandelion root, milk thistle seed extract, ginger root, phosphatidylcholine, and taurine. These compounds can also help if your gallbladder has been removed, along with ox bile. Ask my office for more advice on how to support your gallbladder or your digestive health if your gallbladder has been removed. Enjoy what you've read? Sign up for FREE updates sent to your inbox. Subscribe To My FREE 7-Part Thyroid Video Series! 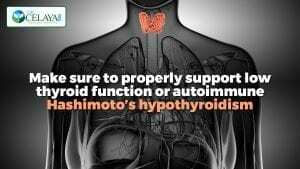 Have you ever wanted to know everything there is to know about your thyroid? This 7-part video series will cover thyroid lab testing, nutrition and infections that affect the thyroid, toxins, thyroid hormone conversion, lifestyle, and adrenal interplay. Sign up today for your free 15-minute consultation with Dr. Celaya to see if you're a good fit for care!